Population density is an interesting measurement. 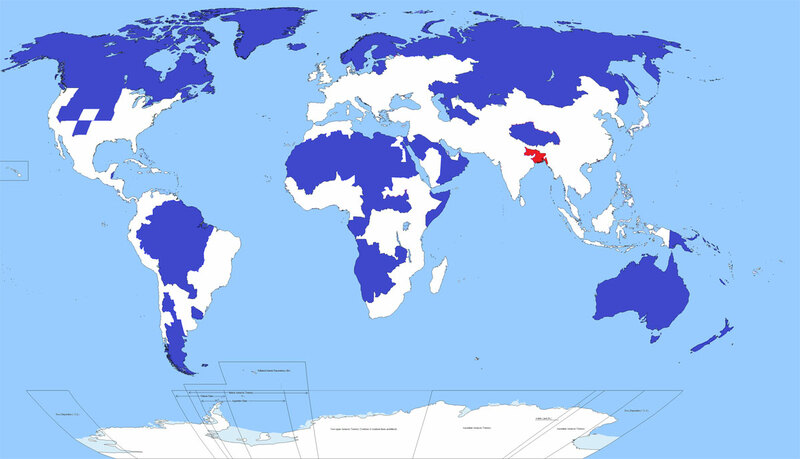 In the dark blue shaded regions, you will find 5% of the world’s population. The surface area covers an impressive amount of the land on our planet. In contrast, the red shaded region also represents 5% of the world’s population. By default, that means 90% of the remaining global population lives in the white, non-shaded region. I’m not sure what’s most surprising, but maps have a fascinating way of making us take a deeper look at our world.